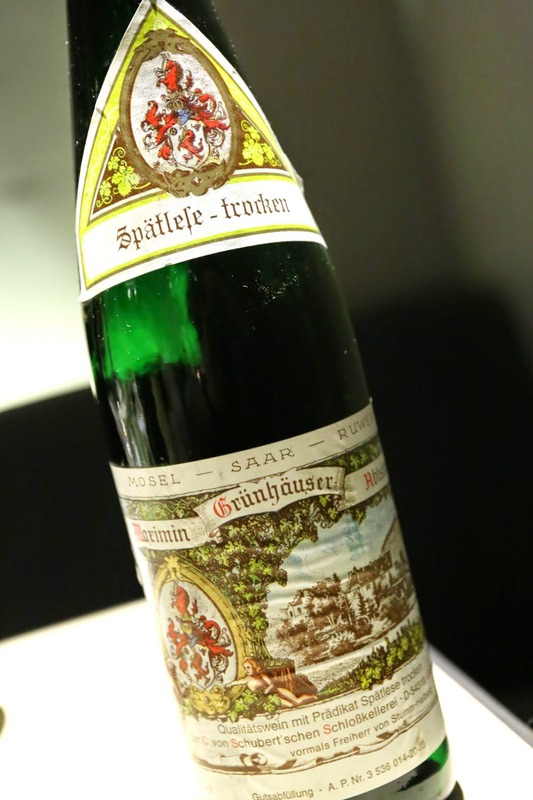 1998 von Schubert Maximin Grünhäuser Abstberg Spätlese-trocken - big nose of petrol and polyurethane. Acidity quite high, especially on the finish. 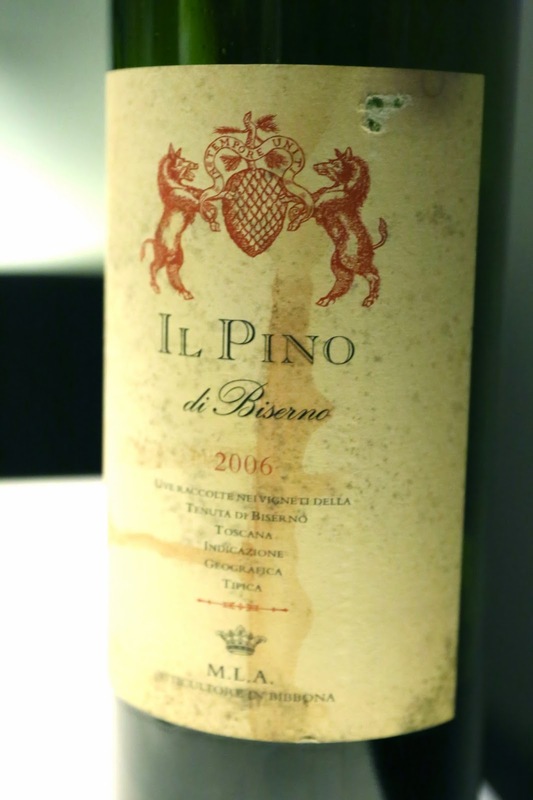 2006 Il Pino di Biserno - still pretty tannic. A little bit of forest on the nose at first, then more mint and more sweet fruit later once it opened up more.